We just love this marvelous Cuckoo Clock with Woodchopper. It’ll teleport you to the woodchopper’s cottage in the forest. Designed by Romach and Haas, this chalet-style clock is an animated telltale that features a hand-carved woodchopper figure, a dog, pine trees and a well – just a usual day from a woodchopper’s life. The telling dancers of this clock are carved with utmost precision and skill. 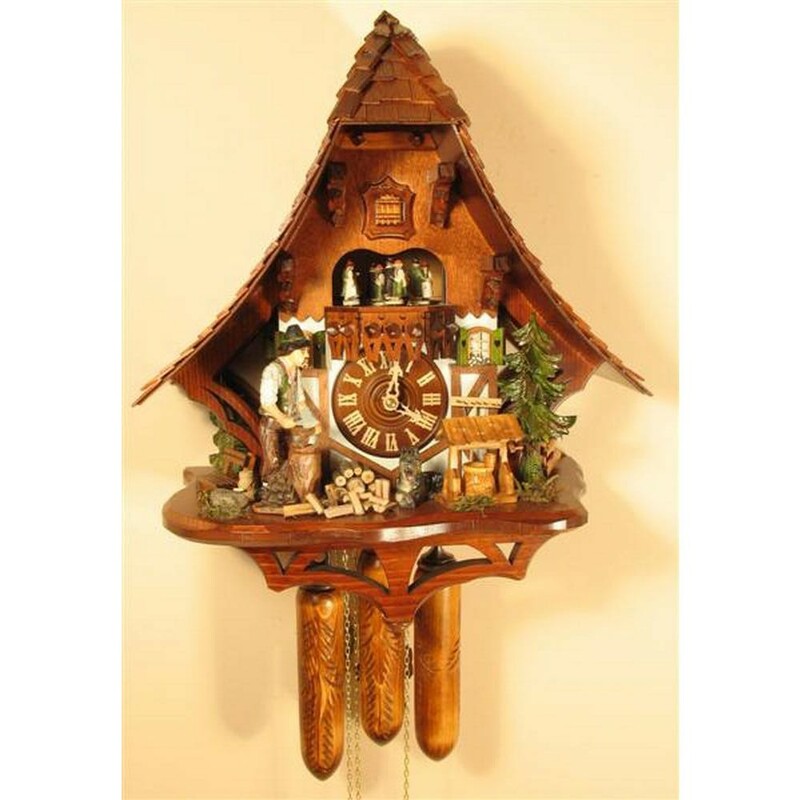 It is a gorgeous Black Forest chalet clock that is made by watchmakers from Germany. Bring this in and create the magic of the German countryside into your home right away. Whimsical and sometimes realistic animations such as this one were commonly reproduced mechanically in the Black Forest since the early Nineteenth Century. Here, a man in traditional Black Forest garb chops his firewood for the long winter. Meanwhile the children are above, on the balcony, dancing to the music. 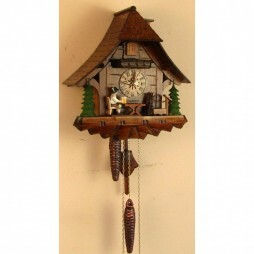 This eight-day, musical cuckoo clock features a large 36-note music box with an excellent sound. This eight-day musical cuckoo clock has a night time shut-off lever so you can turn off the music and cuckoo and leave the time-keeping function running. The dial, hands, and numbers and bird are all of solid wood. The shingles on the roof are individually laid, and all the carvings are done by hand. This Woodchopper cuckoo clock is by Rombach und Haas and is exclusively available through North Coast Imports. It is an Original Black Forest Clock, certified by the VDS. The clock comes packaged in genuine recycled materials, each clock made and packaged BY HAND by Black Forest craftsmen the same way they have been for hundreds of years. The cuckoo bird, hands, numbers, and dancers are all made of solid wood. The bird and dancers move along with the mechanically produced music and cuckoo call. The sound of the bird is produced by real wooden whistles. 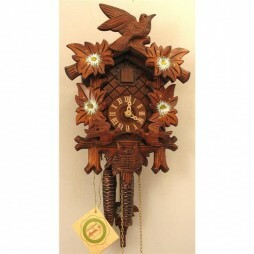 This is another beautiful, carved wall clock that’ll grace the style of your home. Made by Romach und Haas, this fanciful Hawk and Birds Cuckoo Clock with 8 Day Movement has a striking design. It has the best carving of birds, vines, and leaves all intertwined to create the perfect melody. Known to be one of the most stylish, large clocks, this one has a 36-note music box mechanism with animated dancers that comes out to greet you at the strike of an hour. This German-made spectacle of a wall clock comes with a 2-year warranty. Create a peaceful ambience into your home by adding this stunning clock to the backdrop. 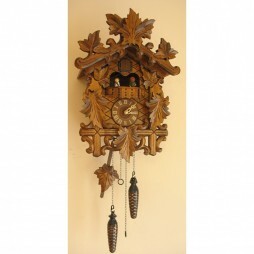 Add an element of grace and class to your home with this stylish German Feeding Birds Cuckoo Clock. Hand carved from superior quality Linwood, this special clock has brilliant features. At every strike of the hour, this clock will play an animated tune on your wall. It features baby chicks being fed by cuckoo birds with the clock gong. The clock runs for one full day on a wind. What adds more style to this clock are the Edelweiss flowers in white. It is a German made clock that is an VDS-certified reproduction of the Black Forest Clock. Also, avail a 2-year warranty on this classy clock today! 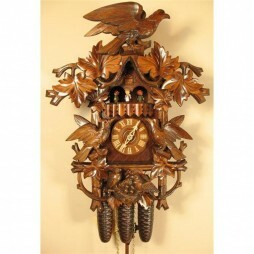 Coming from the house of Sternreiter, this German Carved Cuckoo Clock with One-Day Movement. It is an exquisite hand-carved clock made from high-quality Linwood that features a glossy walnut finish. This wall clock is an amalgam of style and tradition. It features grape leaves, maple leaves and bird carved around it. The dial is a small one with quirky pair of hands. At every strike of half hour or an hour, the clock doors burst open and you’re greeted by a cuckoo along with a notable gong strike. This is definitely one of the most classic wall clocks that is made in Germany and is available at a really inexpensive price. How about setting up a cute dance show on your walls every hour/ half hour? Yes, you can make this fantasy come true with the ever-beautiful Quartz Cuckoo Clock with Animated Dancers. Talking about the design, the clock features a thicket of leaves. This clock plays 12 different tunes, each for an hour. Doesn’t this make it a musical piece? After every cuckoo call, you will see a dance party unwind on your wall as the music plays and mini dancer figures come out to do the twirl. Made in Germany, this telltale has a brown dial that features golden hands and numerals. 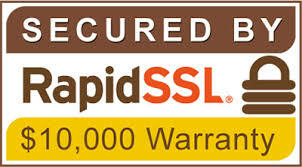 It is a magnificent, battery-operated piece that comes at an affordable price.